This is not a hole for the faint of heart. It is a long uphill journey with plenty of challenge to boot. You’ll want to avoid the fairway bunkers to the left so you can get a better second shot. 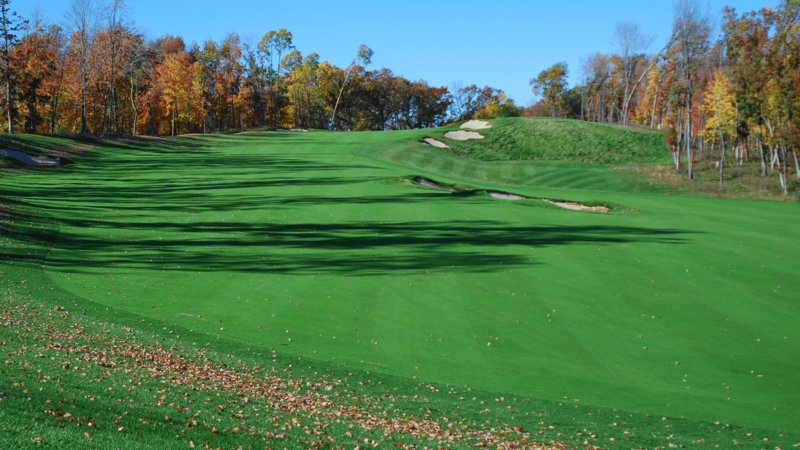 Ideally, you will want to drop the ball about 120 yards short of the green on the flat part. This will give you a short wedge to a small target green, protected by a pot bunker in front. Doom and gloom abound in front of the tees and to the right of the fairway. When you make it to the green, look back to enjoy the view and celebrate the success of completing this challenging hole.